In this blog post I’m going to share with you how to start a successful blog that generates passive income. Most people get it all wrong when it comes to starting a blog and generating a real substantial income with it. I use 4 simple steps when starting my own blog. This is very straightforward and I work off these steps when starting out. Don’t use free hosting, always get your own domain and hosting. If you’re doing a blog that’s going to be very active and you want to build awesome amounts of traffic to it then make it brandable. Something weird or something people will remember. So that’s quite simple, right? Just follow the instructions and you’re on your way to making a great blog. This step is very easy with a few clicks of a button to get started. 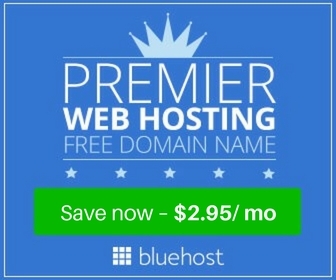 Bluehost will install WordPress for you! The first thing you need to do is create a password. Now you choose a theme for your website. Don’t worry you can change this later if you need to change it. Once you have done that it’s all done! You will be taken to a screen that says “Start Building” Click that button. You will end up here. Now we just need to launch the website. Follow the instructions in the picture below by clicking “BlueHost” then “Home” Then “Launch”. Congratulations! You have just created an amazing website where you can now start blogging! Once this is done you will be taken to the backend that will look like this. This is where you can do things like Live Chat and some other options as you can see from the image above. I love using BlueHost because they have the automatic wordpress install. Other hosting providers make you install it yourself and it can be time consuming and confusing. Now that you have the blog setup it’s time to grow it! If you’re just learning about blogging then you will find out that traffic is very important. Without it the website is dead. Well, I choose a bunch of them then sprinkle them throughout the article. If I get to the front page for 5 of those keywords and they have 300 searches a month each then that adds up to 1500 a month. Head over to Google and find some websites. I just do a basic search string. Here’s a trick to increase traffic. Find articles that are new, so a week old and comment on those or even 24 hours old. When you leave the comment there should be a section where you can put your website address. When people click on your name it will take them to your website or page you put in the website section. Keep things natural, don’t just go around spamming. Find forums about your niche topic then become active on them. Write engaging tutorials and reply to people on the forum. The more active you are the more traffic you get. Try and use a username that’s related to your website or even the site name itself because people will search it in Google. This is a great way to get traffic when starting a blog, I do this on my sites and YouTube Channel. Writing on other people’s pages will do just that. I did a guest post on Matthew Woodward’s website and it became popular with over 250 comments. Most websites will have a section where you can submit a guest post or contact them to get more information. I used Twitter when I first started my blog, I worked on that hard and it brought in so much traffic. These are all potential return readers as it’s a must to build something like this when you make a blog so you can send out newsletters and let them know what’s going on. To collect the emails you should create some sort of optin form or popup on your page. I use a plugin called Thrive Leads to do this. It’s a common plugin and you would have seen it around before on other blogs. I’m going to end it here because that’s all there really is to it, that’s my tutorial showing you how to start a blog. Anyone can try the methods above that’s how easy they are. You can grow your blog to thousands of visits a month even if you’re just learning to create your own website. You just need to be active in your niche and make sure you optimize those articles for a bunch of small volume keywords as well as any high volume ones you plan to target. Sure… building up a blog with these tips will take time with these methods but as the old saying goes, Rome wasn’t built in a day.